I had to choose two novels for today’s theme – one that I read and loved and one that I can’t wait to read. Well if you’ve followed me on here for a while you know that I read and loved Giovanni’s Room which I picked up last year. I don’t know how I managed to get my BA in English Literature without having to read the illustrious James Baldwin. There is something seriously wrong with that. 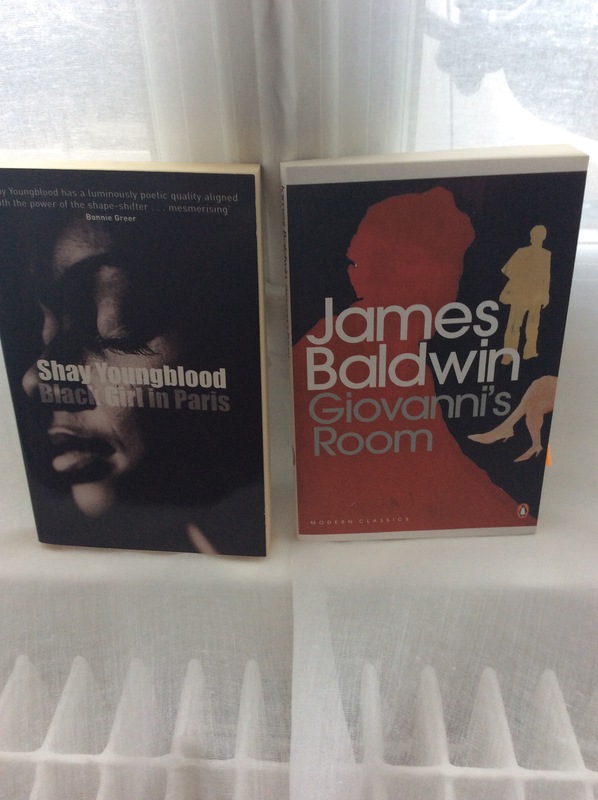 Reading Giovanni’s Room last year opened the flood gates to Baldwin’s brilliant mix of adept writing style and pertinent social commentary. What’s so amazing is how modern and relevant his work has remained. This is as good a place as any to begin reading Baldwin. It’s a short novel of only 159 pages and chock full of layers of meaning on all levels. If you decide to read the Penguin Modern Classics edition there is a very informative introduction written by Caryl Phillips that I suggest you check out after reading the book. The second book I’m suggesting is Black Girl in Paris by Shay Youngblood. She is a well-known contemporary African-American writer of novels, short stories, and plays. She’s been published in numerous magazines and spent some time abroad in Peace Corps and in Paris as an au pair. I hope to really make an effort to read this one this year because I’d say it could almost be a modern classic when I hear people talk about it.